This thick 18 gauge copper guitar pick is patterned from an actual, functional guitar pick. The perfect gift for the "Rock Star" in your life. 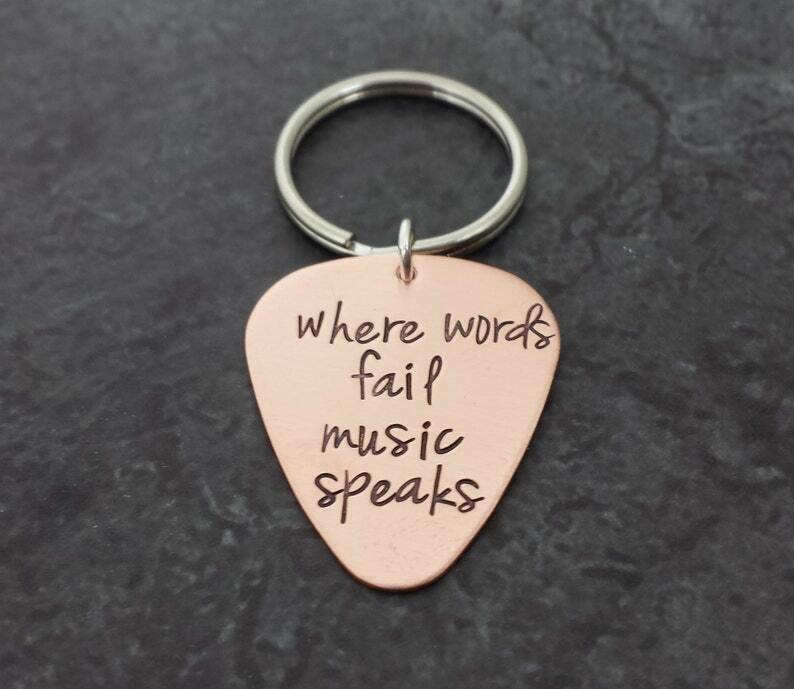 Personalize with your favorite song lyrics, quote, names, phrase, monogram or anything you can dream up! Comes with a Round base metal Split Ring key chain. A good choice for all music lovers! Measures approx. 1 1/4" h x 1 1/16" at widest point (32mm x 27mm).